Ok, this recipe/tutorial is almost too embarrassing to post. 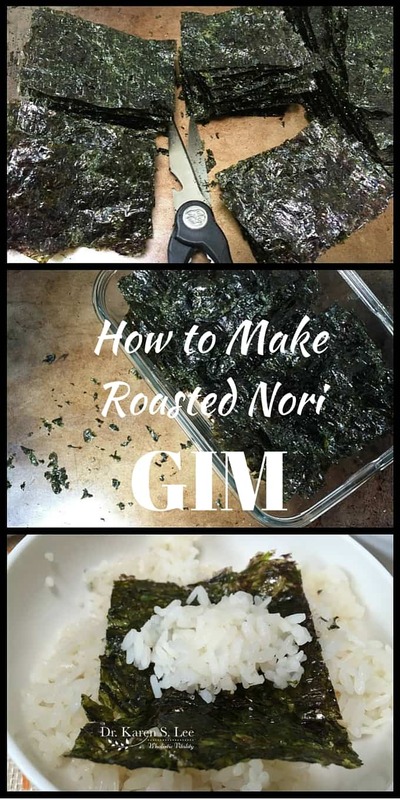 To me, a Korean mom, making Roasted Nori (GIM is the Korean word and since it’s shorter, I’ll be using it for this post) is like boiling water. That’s how easy it is. So when I saw GIM labeled as “snack” on store shelves for the first time, I laughed. Out loud. I mean, no one buys these pre-made stuff! Well, no one ‘used’ to anyway when I was growing up. Seaweed (read my sea veggies primer that explains why they are so good for you) is very common in Korea. In fact, it’s almost considered a national veggie. We are sort of seaweed snobs because we eat a lot of it and we are picky about the quality. The ones you see on this post were shipped from my mom’s friend in Korea (shipping probably cost more than the seaweed!) as a gift. 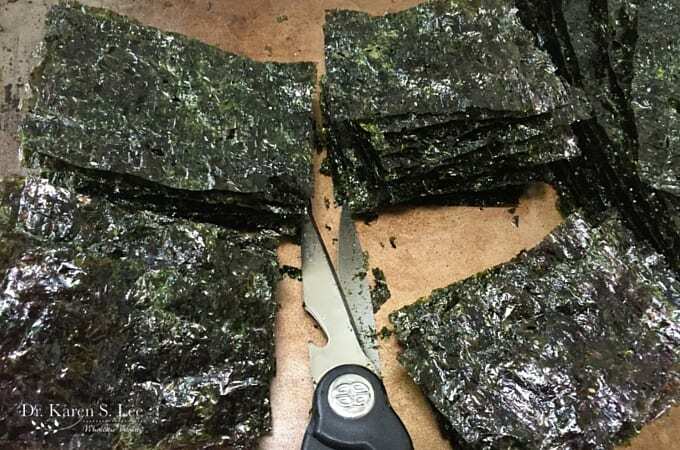 But since my Korean seaweed connection can’t help you, you’ll just have to go to your local Asian grocery store – preferably Korean, like H Mart – and buy a pack of UNSEASONED ones that come in sheets of 50 or 100 or more. Check the date and make sure they are from Korea. You can also find them on Amazon. I’ll give you the link later in the post. Convenience of Packaged GIM but are they just as healthy? So how did this once ‘unknown’ peculiar sea veggie food become so popular that now you can buy pre-made packages in stores? Well, just like any other packaged foods, I guess some smart big food exec thought it would be a great idea to help us save time. 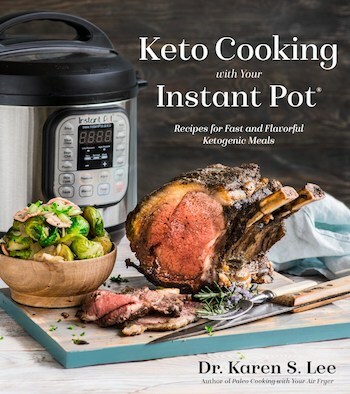 In fact, you can now find exotic flavors like Wasabi, Teriyaki, and even Onion (Amazon Affiliate Links) and not just the original flavor of sesame oil and salt. I mean, I get it. You’re busy and who has the time to season and roast them over a fire, right? I admit, I tried the packaged ones too but of course, they don’t taste the same as my homemade because most of them are made with Canola or vegetable oil. Yuck. Not only are Canola and vegetable oils NOT healthy for you, GIM doesn’t taste like the original since we never use them in making GIM. The other thing about seeing GIM in stores that made me smile, ok, cringe, is that it’s marketed as a ‘snack’. People, we eat these with rice, as a meal! We don’t eat these as snacks or ‘waste’ them in ways other than having them as part of a nourishing meal. My mom would be horrified if she saw us eating it as snacks. I mean, GIM contains no carbs, sugar, gluten, dairy or eggs so they are wayyyy better than eating Cheetos but eating a whole package could give you more sodium than a daily allowance. But it’s great with piping hot rice! In fact, when my kids were on the elimination diet, they lived on GIM and Rice since they were “safe” to eat. But given the choices, I rather see your kids eating GIM than Potato Chips I guess. How long does GIM last? GIM lasts pretty long time in room temperature if stored in air tight containers, like Glass Lock as pictured above. If air or moisture gets in, GIM will get soft, like wet paper and will not be crunchy. Properly stored ones will keep for about two weeks before oil gets rancid, but I doubt they will last that long if your kids have it their way. So, are you ready to roast some seaweed? Turn on your favorite Netflix movie or your favorite Korean Drama series and let’s make GIM! Grab your kids and let them help you. They’ll have fun making their own snack. Don’t worry; your part will come later. 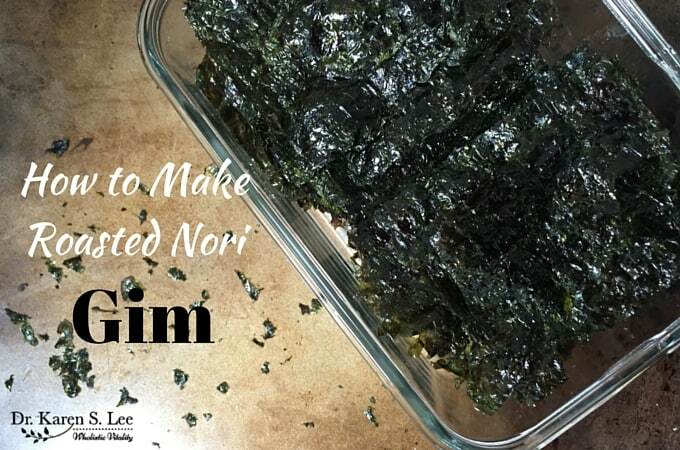 Good quality UNSEASONED Nori. 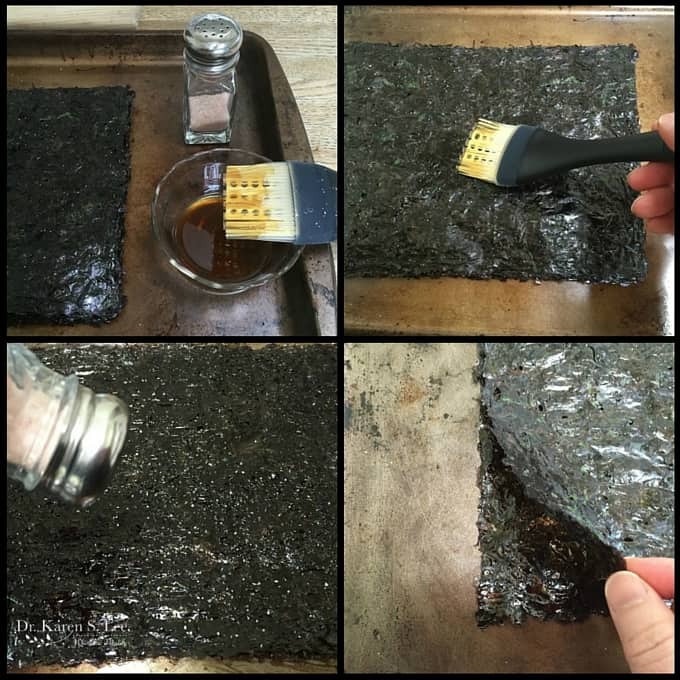 (Amazon Affiliate Link) For making roasted nori, you have to buy UNSEASONED sheets since you’ll be seasoning them yourself. A salt shaker filled with FINE or Extra FINE Himalayan Pink Sea Salt. (Amazon Affiliate Link) Pink salt is the only salt I use for seasoning my food since it’s rich in minerals. You can actually taste the minerals on the sheet since salt is on the GIM. A small bowl filled with good quality toasted sesame oil. I’ve used this brand (Amazon Affiliate Link) before and it has a deep toasted sesame seeds flavor. I just wish I can find organic one from them. I’ve use this organic sesame oil (Amazon Affiliate Link) too but I found the taste to be bland and not nutty at all. A basting brush. Any pastry brush made with natural bristle will be good. I like this silicone brush as it’s for multi purpose, like basting hot foods from the oven or on the grill since it can withstand some heat. The brush should be at least 2 inches wide since you’ll be brushing a large sheets. Just make sure you wash out the oil throughly with dishwashing liquid afterwards. You don’t want rancid oil residue left on the brush. This is the part your kids can help you with. If they can paint using a brush and shake a glitter bottle, it’ll be easy. And rewarding too since they’ll be involved in making their own snack! Let them practice on a few sheets and put them to work so you can sip coffee and watch Korean Drama while they work. Win Win! Top Left – Get all the ingredients and equipment ready. Fill the bowl with about 1/4 C of sesame oil for about 20 sheets of seaweed. You can add more sesame oil as you go so don’t overfill it. 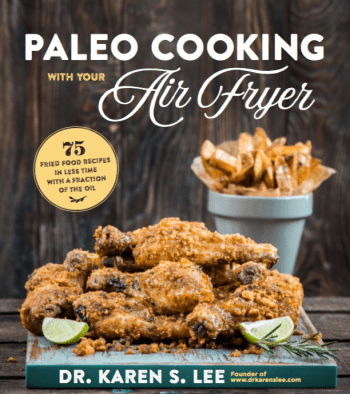 Top Right – Spread one sheet on the cookie sheet. Dip the brush in the bowl gently and dab with a small amount of oil to start. You can always dip for some more so don’t saturate the brush or the seaweed with too much oil. Start with a small amount and lightly brush the sheet. 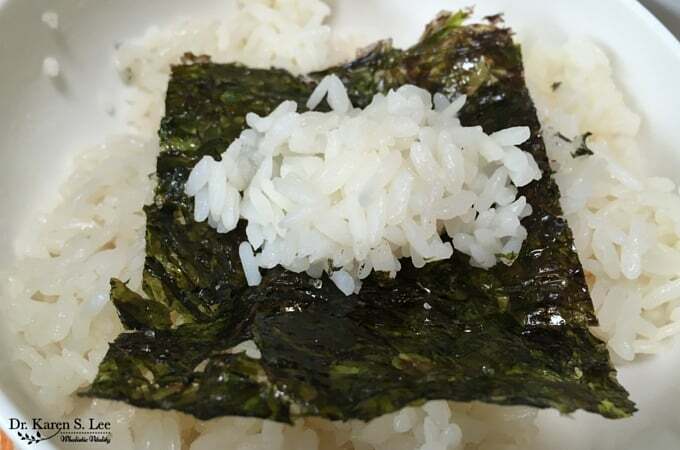 Bottom Left – After you lightly brushed the entire sheet with oil, gently sprinkle the salt all over the seaweed. Do NOT sprinkle too much salt. You’ll regret it later. Just shake very gently so you can barely see salt granules come out. Bottom Right – After you finish brushing with oil and sprinkling the salt on one sheet, add a new one on top. And after you finish with that one, add another fresh layer and so on and so on until you finish all of them. Now from this point on, it’s YOUR part. Roasting the sheets….Watch the video below to find out how to roast them. Now, wasn’t that fun? Just make sure you start out with a low flame or low temperature until you get the hang of it. Remember, I’ve had YEARS of training so I can do this while I videotape (as you saw above) or while talking on the phone (as you heard me in the video) or while texting (ok, maybe not.) Roast them QUICKLY and keep moving the sheet over the flame, otherwise, you will burn down the house. Ok. You’ll burn the seaweed to ashes. It happens VERY quickly. Don’t ask me how I know. After all of them are roasted, stack them, and line them up so you can cut them with kitchen shears into sizes you want. And eat them with your rice. Oh, ok, you can sneak a few as a snack. I won’t tell my mom.